I’ve been attending an outdoor fitness challenge/running class once a week over the summer with my running partner and friend Leslie. It’s so much fun even though it challenges me to no end! We run all over our town doing Indians runs, hill runs, sprints, bodyweight exercises and more. 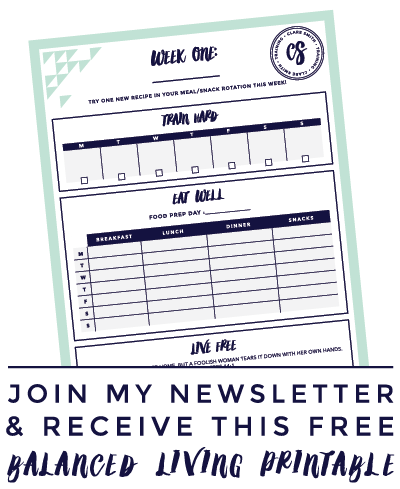 Last week we used some of these exercises so I thought I’d put them in a routine for you! I prefer that you do this on an INCLINE. You can choose a grassy hill or a paved side road. You choose how far you want to run. The longer you run up the hill, the harder it will be, so it’s really easy to modify depending on how you feel that day. This is a quick and dirty workout that will get your heart pumping and legs burning! I was dying after Thursday’s class! 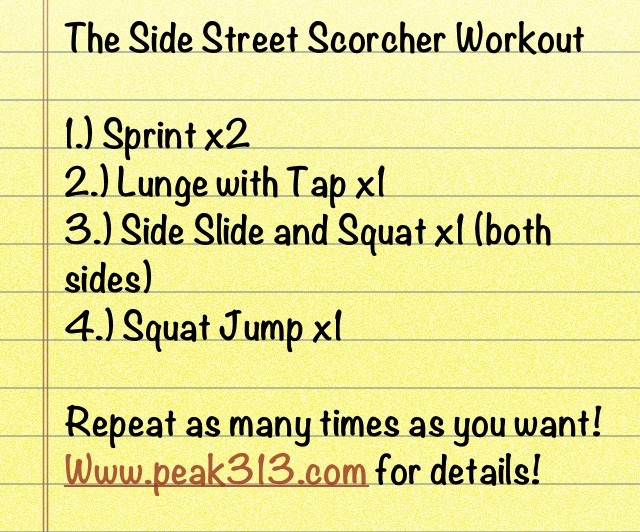 Do this workout alone when you need a quick one OR tack it onto the end of a long run or weight day! Gut it out as fast and hard as you can until you reach the top. Jog down. Repeat. Lunge forward and lean into the leg as you tap down. You want to keep the focus on the front of the legs but don’t let the knee extend over the toe. Alternate right and left lunges up the hill. Jog down the hill once you hit the top. Turn your body to face the sidewalk. Reach your leg out to the side as you squat deep and touch the ground. Bring legs together and repeat your way up the hill. Jog down. Make sure you switch and face the other sidewalk and repeat moving up. Oh I was trying to look at your workout but couldn’t get over the beautiful street – I love that neighborhood – good memories there. Can’t say I ever squatted like that there though lol! but we walked them many times!